Tim came up with the cutest poem about Milly & Grace and it’s a twist on a Christmas classic. It was featured on the Nantucket BlACKbook earlier this week, but I wanted to share it with our readers. Emily Hollister has out all her Christmas decor. At Christmas time, it’s like a winter wonderland. Look a little closer and you will see more. Decorative wreaths, cabins and trees: How will you decide? But wait! What is on the other side? Ornaments and note pads; Gee what a spread! 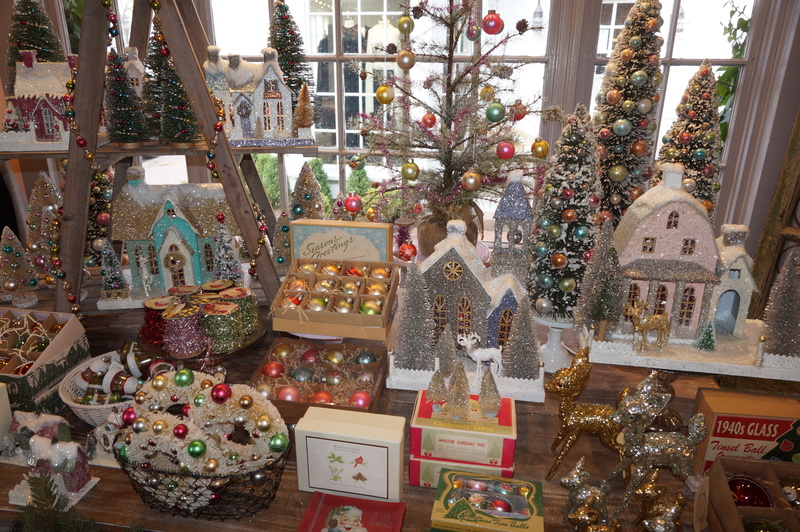 We hope to see you for Nantucket’s Christmas Stroll this weekend! 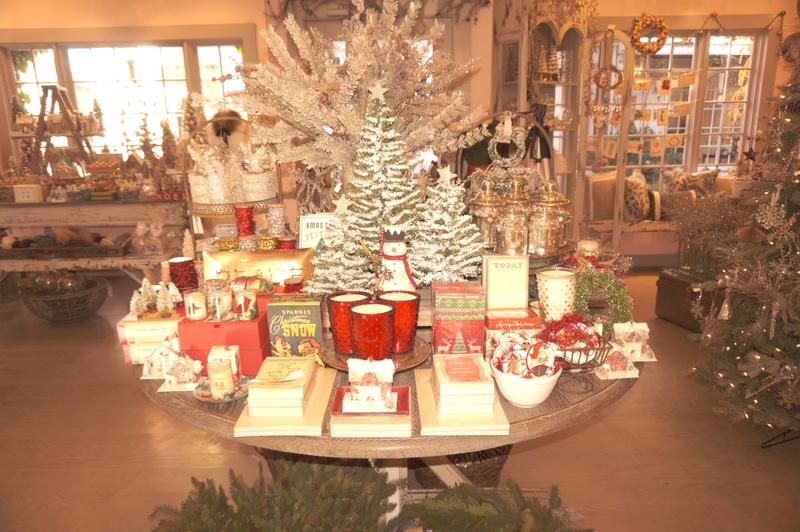 More Christmas Decor at Milly & Grace! 34 days until Christmas! Keep us in mind for all your Christmas shopping adventures. Julia is staying warm, but still chic in these sweaters, coats and blouses! Our clothing collection is 30% off in store and online! 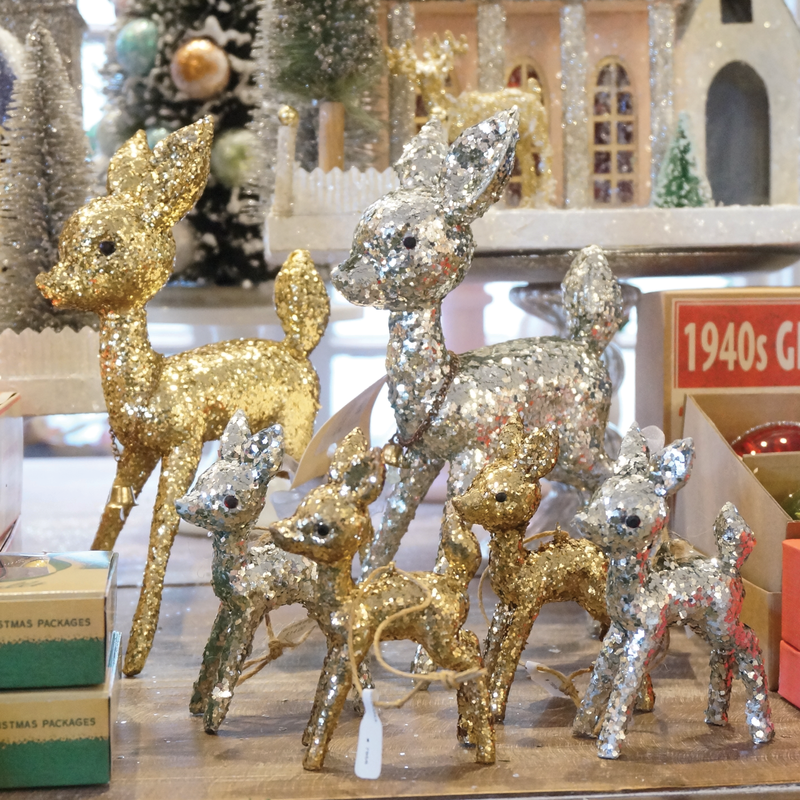 The store is all decked out in the Christmas spirit with silver glitter and sparkle! We also just added all of our designer pillows online in over 20 designs and colors. 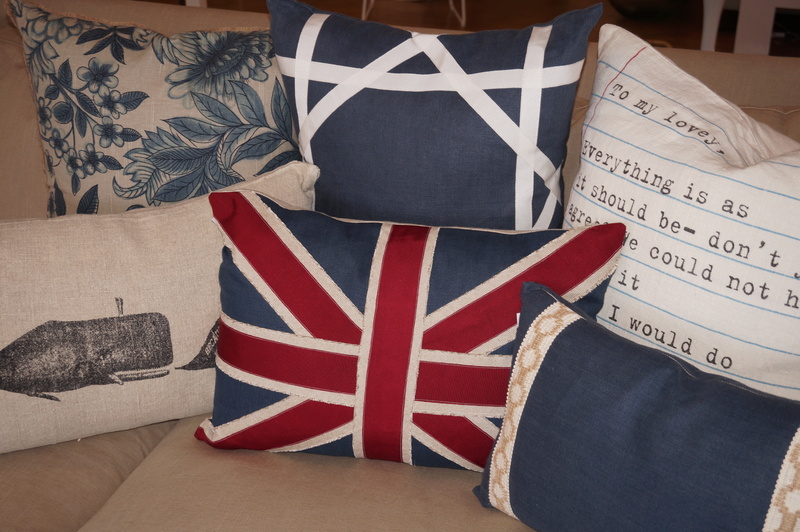 Shop our Pillow collection and spruce up that couch or chair this Christmas! 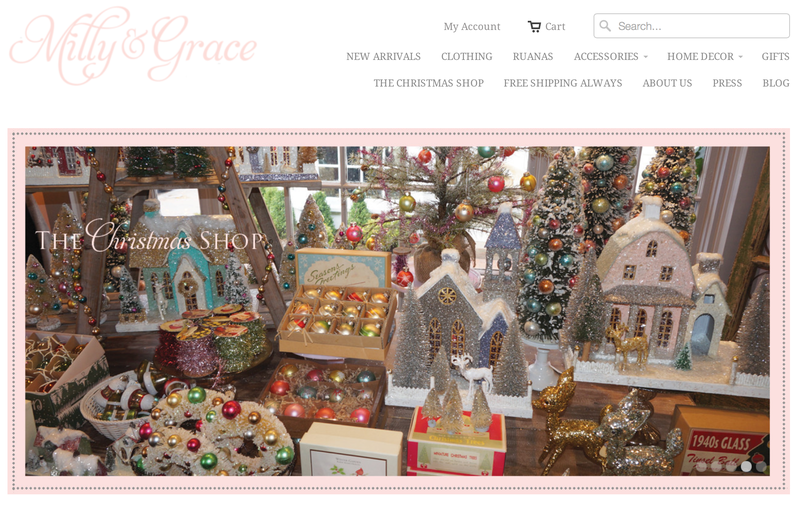 Your Holiday Shopping starts here with the Milly & Grace New Arrivals. Our Clothing Collection is 30% off! These are some of the new items in festive Christmas colors! Display all your baked goods this holiday season on these beautiful milk glass Cake Stands available in four different sizes of either Pink or Mint Green! 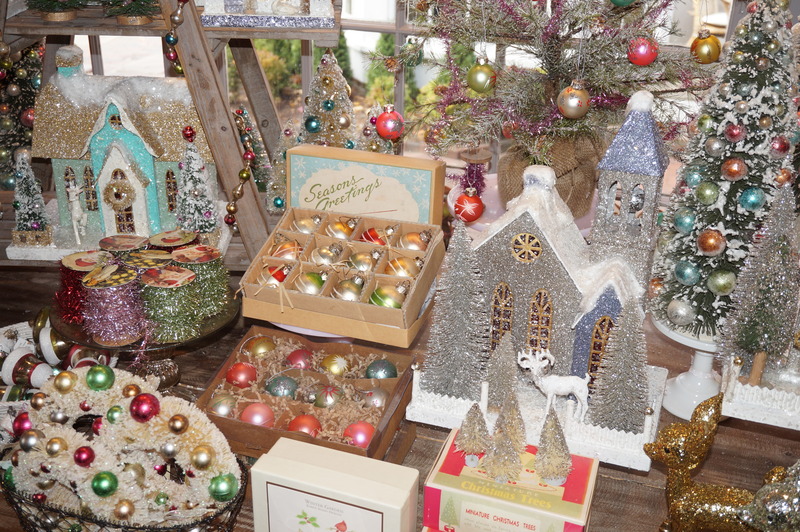 We have just started to put the Christmas Decor out at the store and I could not wait to get some of it up online! “It’s beginning to smell a lot like Christmas” with these new Holiday Candles. 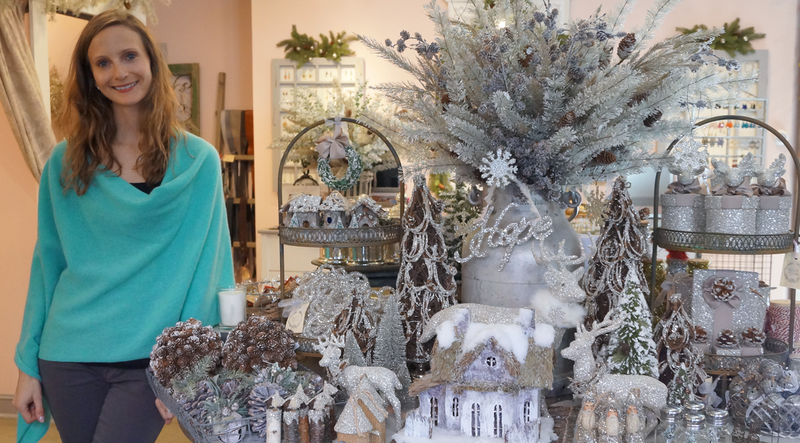 I love decorating the store with Christmas items and I know you will love these vintage inspired pieces for your own home this season. 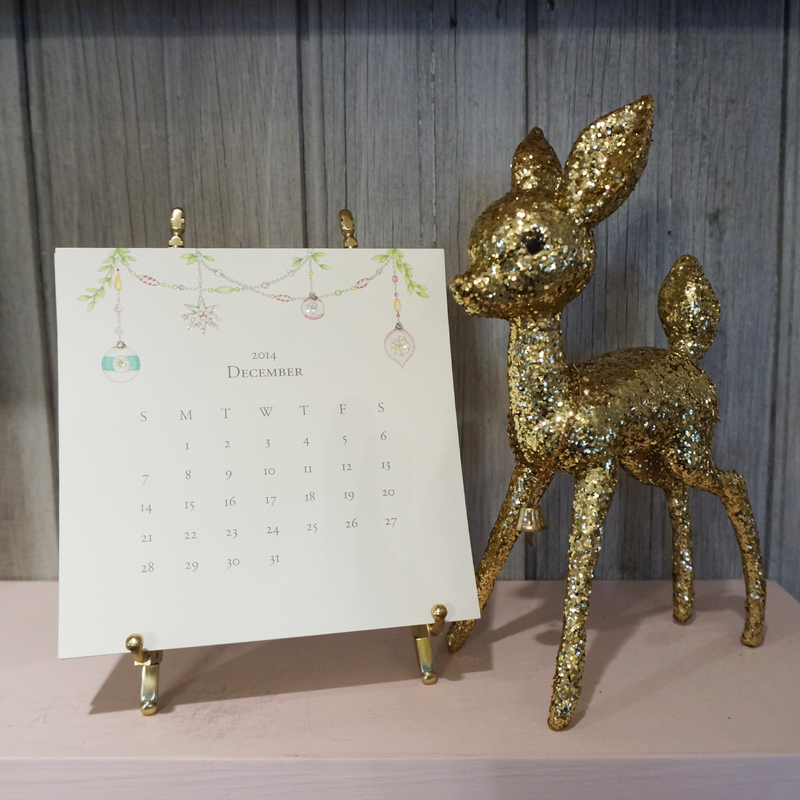 These Glitter Deer are just the cutest! Gold or Silver, Figurine or Ornament! 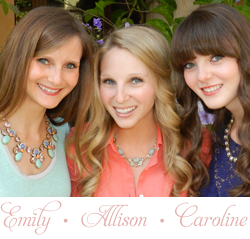 Don’t forget that our online boutique offers Free Shipping Always! Have fun with the start of your Holiday Shopping!